Ryan represents the 15th Legislative District including Syracuse and Geddes. Ryan was elected chairman of the Onondaga County Legislature in 2011. Since then he has taken on multiple major projects and development initiatives. His major focus has been on job creation and ensuring good fiscal discipline in the county. 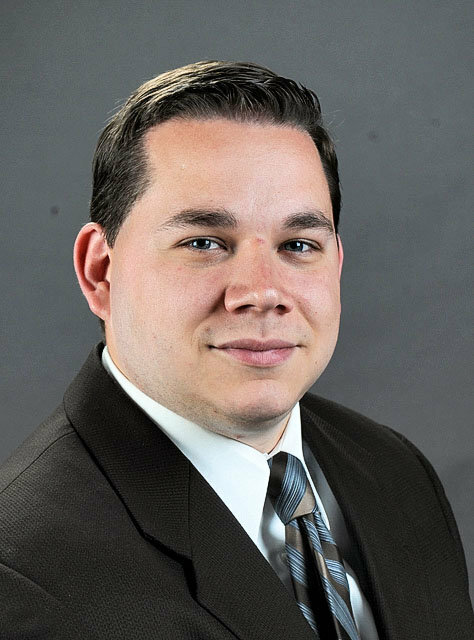 Ryan is a graduate of Bishop Ludden High School and LeMoyne College. Previously he worked in the private sector and held office as a Syracuse Common Council Member. He is a lifelong resident of Strathmore and currently resides there with his wife and two children. Dave represents the 12th Legislative District which includes all of the Towns of LaFayette, Pompey, Fabius, and Tully and parts of Onondaga, Dewitt, Manlius, and the City of Syracuse. As Ways and Means Chairman Dave is in charge of the county's finances. Dave has prioritized being a good steward of taxpayer money and keeping taxes low. Dave is a graduate of the United States Military Academy at West Point. He served as a captain in the United States Army. Prior to his election to the legislature he served on the Town Board in LaFayette. Dave currently resides at his family farm in LaFayette with his wife and three children. Brian represents the 1st Legislative District which includes the Town of Lysander and a part of the Town of Clay. Brian has been a fighter for reducing spending and exercising fiscal discipline at the Onondaga County Sheriff's Department. As chairman of the Public Safety Committee for the past six years, he has brought the Sheriff's budget into balance for the first time in a decade. He will his fiscal discipline to the Ways & Means committee as Chairman for the term beginning in 2018. Brian was first elected to the legislature in 2011 and currently lives in Baldwinsville with his wife and children. Judy represents the 4th Legislative District which includes the area around Onondaga Lake - including a majority of the Towns of Geddes and Salina and some of the City of Syracuse. Judy has been known as a tenacious legislator with a track record of getting things done for her district and the region. Judy is a small business owner and has been on the legislature since 2009. She currently resides in Liverpool with her husband Bill. Mike represents the 6th Legislative District which includes the Towns of Spafford, Otisco, Skaneatles, Marcellus and part of the Town of Camillus. Mike has made a priority of hard work and getting things done for his district. Mike is a private practice attorney and the former Mayor of Marcellus. 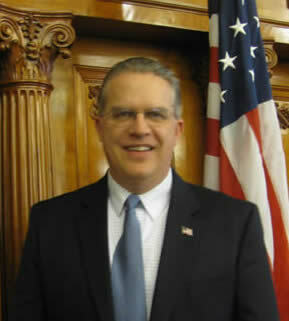 He has represented the 6th district since 2011 and currently resides in Marcellus with his wife Debi. Tim represents the 3rd Legislative District which includes Cicero and a part of Manlius. Tim has a reputation of being a fighter for lower taxes, controlling spending, and a fighter for job growth. He has been an advocate for mosquito spray funding for his district to reduce the threat of EEE. Tim served on the Cicero Town Board as Deputy Supervisor until January of 2015 when he was appointed by the County Executive to fill a vacancy on the legislature. Tim currently lives in Brewerton with his wife and children. Casey represents the 14th Legislative District which includes the eastern half of the Town of Clay and a portion of the Village of North Syracuse. Casey is an outspoken member of the legislature and an independent voice for the people of his district. Casey was first elected to the legislature in 2005 and is one of the most senior members of the body. Casey has a J.D. from Hofstra Law School and works in private practice as a litigator. He currently resides in Clay with his wife and children. Kevin represents the 10th Legislative District which includes a majority of the Town of Manlius. A conservative, and outspoken Ronald Reagan supporter, Kevin has fought for the principles of smaller government and lower taxes. Kevin has been on the legislature since 2005, when he was appointed by Nick Pirro, and has been re-elected to the seat ever since. Kevin works as a Relationship Manager with Key Bank and holds a B.A. from Syracuse University. He currently resides in the Erie Village area of Manlius.